SEATTLE - June 1, 2018 - The Puget Sound Premier League is pleased to announce that FC Salmon Creek has chosen to play its boys high school teams in the PSPL, starting Fall Season 2018. The Vancouver, Wash. - based youth soccer club offers premier and select soccer to top competitive players throughout Clark County. Salmon Creek teams have played in the PSPL in the past. Now, however the stakes for high school-age players have never been higher. 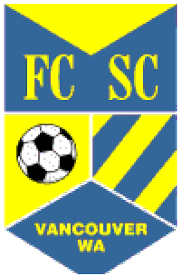 FC Salmon Creek's announcement follows the decisions by RV Slammers and MRFC , Eastern Washington Surf, FC Spokane, Twin-City FC and Everett FC to join or continue to compete in the PSPL. The PSPL continues to be a pathway for quality clubs that need a well-run, competitive league to showcase their best players and teams. "In looking at the options for high school boys teams in the Portland metro area and the level of competition here," said Salmon Creek President Jeff Thomas, "we decided the best place for our older boys teams was in the PSPL. They would get the higher level of competition that we require." Thomas added that over the years Salmon Creek coaching staff, led by DOC Joe Frimpong, has watched the PSPL grow larger and stronger competitively. "We have seen the league get stronger, which is what we want for our teams," Thomas said. "We're very happy to welcome Salmon Creek back to the PSPL," President Stanley Holmes said. "Salmon Creek has always been a quality club focused on developing top collegiate players and passionate soccer players. They recognize that the PSPL and the Washington NPL league can help their boys' teams reach their highest goals. We appreciate their support." The Puget Sound Premier League, sanctioned by US Club Soccer, is the fastest growing league for competitive soccer teams in Washington State and a member of the National Premier Leagues. The PSPL, founded in 2007 with 12 teams, now has nearly 2,000 teams in 2018. In its 11th year, the league supports clubs that produce passionate players, national champions and college standouts. FC Salmon Creek is a full-service competitive club servicing southwest Washington. The club is known for its technical training and turning out tough state-cup champions.